Halloween is just a few short days a way, and Thanksgiving will be here before you know it. Are you ready to celebrate Thanksgiving in style? Now is the perfect time to start getting ready for a memorable Thanksgiving. Start browsing recipes to see what new ones you’ll try this year, invite family members and friends over, purchase decorations, and think about what you’ll give gratitude for this year. 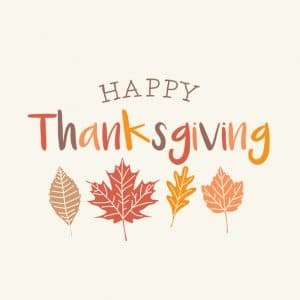 Preparing for Thanksgiving doesn’t have to involve drudgery – it can be so much fun when you approach it with the right mindset – one of gratitude and joy. But there’s one way to celebrate Thanksgiving that you may not have thought about yet. It’s a little unusual, but trust us, you’ll be so glad when you adopt this into your Thanksgiving celebrations. Upgrade the furniture in your office and give thanks. Home office? Hundreds of employees? Whether you have a simple home office that you share with your spouse or a huge company with hundreds of employees – or anything in-between – we have what you need to make your office stylish and functional at PnP Office Furniture. We have plenty of office staples in new and gently used condition at our conveniently located store in Ontario, CA. Our address is 940 South Rochester Ave. Suite D and business hours are Monday-Friday 8:30am-5:30pm. Set the tone for maximum productivity for the rest of 2017 and on into 2018 with awesome furniture from PnP Office Furniture. We have plenty of Specials going on now – take advantage of them for even more savings! We’re currently running specials on White and Espresso Training Tables, Guest Chairs, and Ergonomic Desk Chairs. Stock up today! Every worker in your office is going to be giving thanks this Thanksgiving when you purchase new furniture from PnP Office Furniture. Whether you’re the only person in your office or you need furniture for dozens or even hundreds of employees, we have the high quality furniture you need to take your office to the next level in style and functionality. What’s especially great about coming to PnP Office Furniture is that not only do we have an unbeatable selection of high quality office furniture and fantastic prices, but we also offer affordable layout planning, delivery, and installation services. You won’t have to deal with the time, expense, and hassle of working with separate contractors for these services. Delivery is available within a 50-mile radius of our Ontario, CA, store, and we guarantee that most in-stock items will be at your office within 72 hours of purchase. Come to PnP Office Furniture, which is conveniently located at 940 South Rochester Ave. Suite D Ontario, CA 91761. Business hours are Monday-Friday 8:30am-5:30pm.